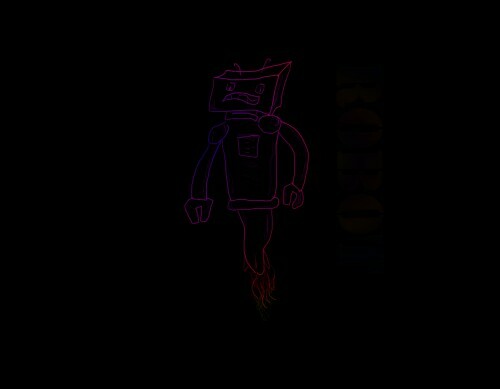 Flamebot is a robot that has no legs, but he flies around with flames shooting out of the area where his feet would be. If he had feet. Which he doesn’t. 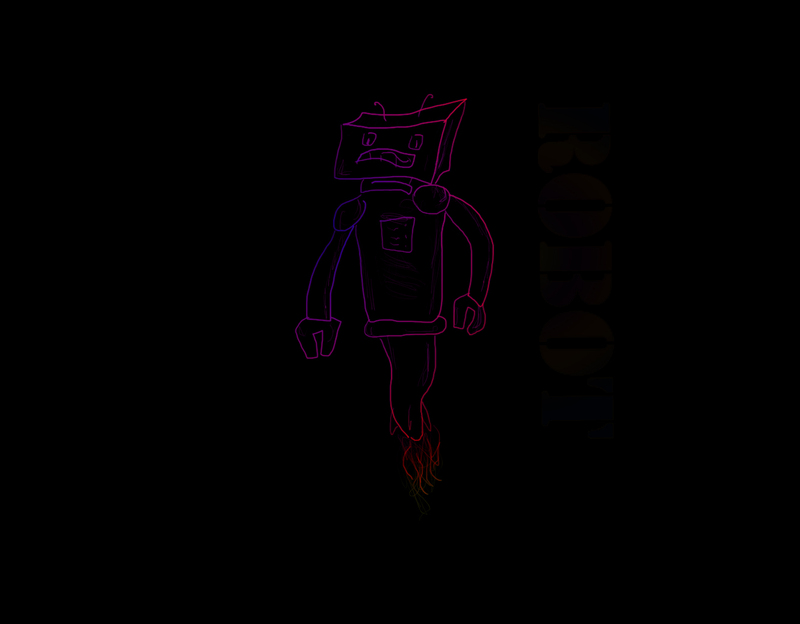 He is very colorful though, and in honor of the rainbow of colors he represents, Flamebot salutes you, and all you do for the good of the Robot Nation. Posted on Tuesday, July 27th, 2010 at 4:00 pm. Subscribe to the comments feed. Both comments and pings are currently closed. Post on your own blog.